← Nilgai? What the Hell is That? 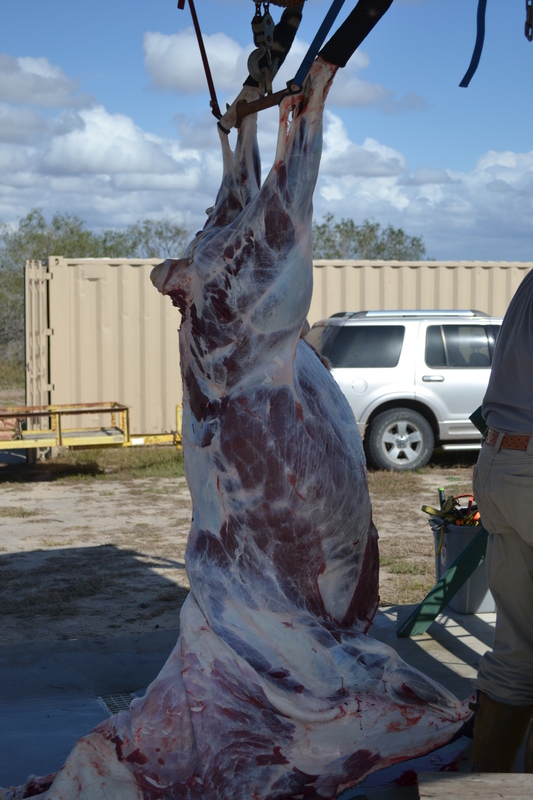 550 pounds of nilgai to fill the freezer and for me to experiment with! I have to say that I was almost as excited as Deerslayer when I found out that he’d gotten his first nilgai. We’d driven around the ranch looking for a blue bull for quite some time. It was decided that night around the campfire that it must have been the rut since several males were seen in one day. Usually, they’re very elusive but not on Deerslayer’s day of glory. He got his at 7:00 in the morning. I saw one as I drove onto the ranch around 10:30, and spotted another near the camp around 2:30 in the afternoon. Everyone made a mental note. I enjoy experimenting with wild game and everything I’ve heard about this meat has been extremely positive. I hadn’t really thought about how the size of the muscle would influence how I would prepare it. 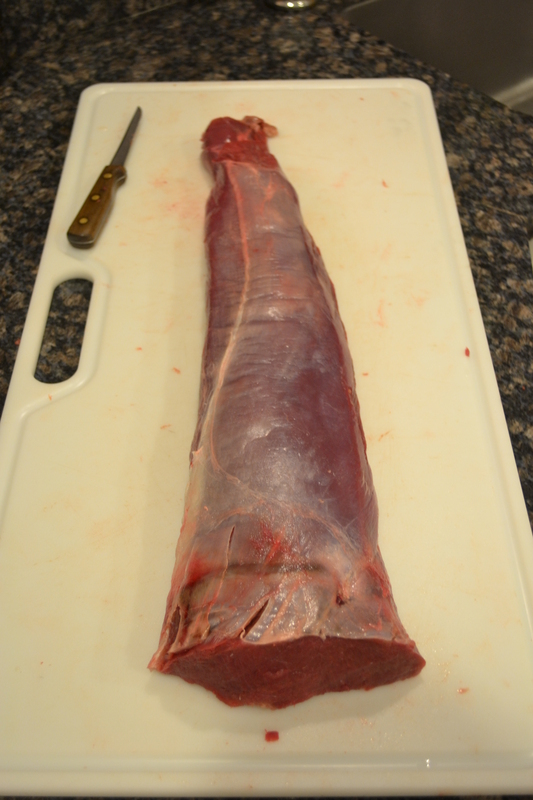 The backstrap is pictured on a cutting board that measures 32 inches. It was a refreshing surprise to discover that a prized cut of meat like backstrap, one that, if referring to venison, is set aside for a couple of special meals. will provide several delectable meals for 4 to 6 people. I felt like Jack (of beanstalk fame) in the giant’s castle. Everything was so much bigger than I was used to. Suddenly, I had at my disposal two to three times the best cuts of meat. The heart was enormous! Deerslayer is holding it in this picture. 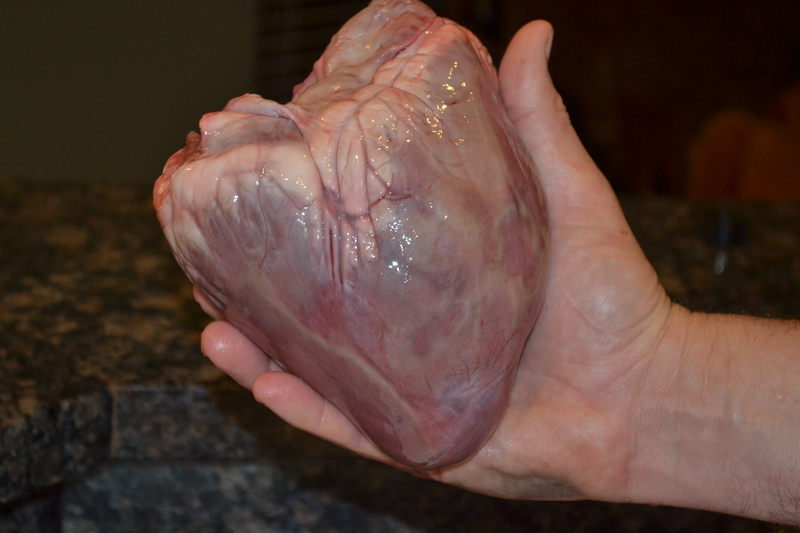 It will be prepared just as I would a deer heart. 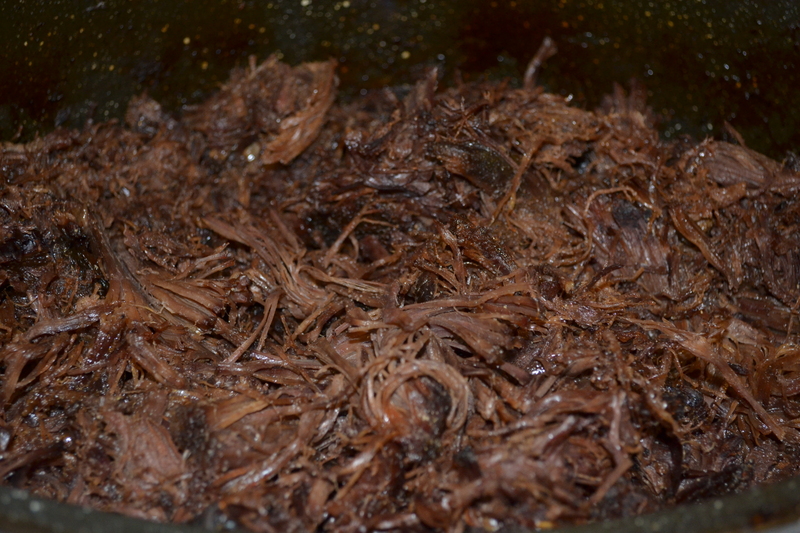 After packaging up all the meat, I was eager to try my first batch of “cook all day” nilgai. Just the “tendony” shank meat and neck meat filled my roasting pan so I started with that. I was pleased to discover that it cooked up just like venison or wild pork. The meat was some of the best I’ve ever eaten. It was a glorious mahogany color with a rich, full flavor. I was sold. Rich, mahogany-colored meat. Lean and flavorful. Ready to be used in Carne Guisada, Stews, Soups, Pot Pies. BBQ sandwiches. 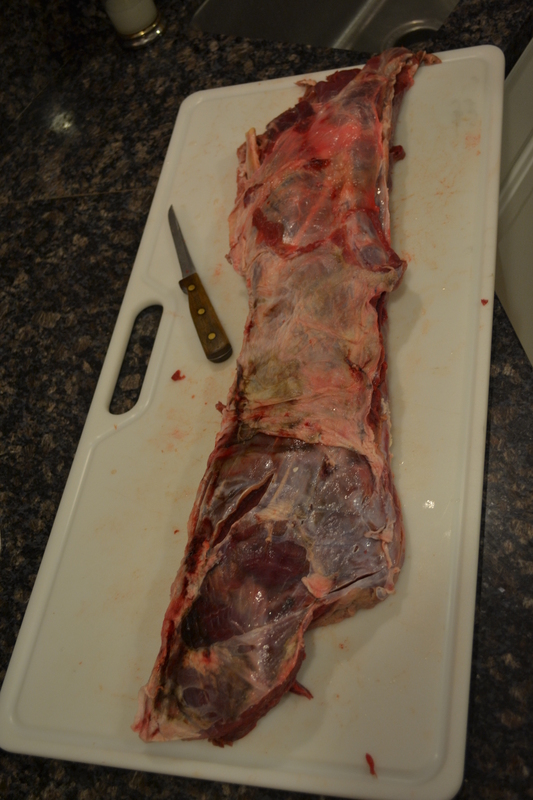 Next, I think I’ll be taking full advantage of the extra-large, hind-quarter muscle to make some jerky. I’ll keep you posted. Then we’ll grind up our meat for the year. Once again, I’ll share the process. Thank you. I hope you find it informative. I love to share! That’s a Boone and Crockett Heart right there. Love it! Right? One exciting experience after another.